These general professional conditions codify the customs and good practices of the fixing profession, formerly Affix, represented since April 2015 by Artema. They govern the relations between the Supplier and the Client. They are filed with the Expert Assessments and Professional Practices Office (Bureau des expertises et des usages professionnels) of the Registry of the Paris Commercial Court. The Supplier and the Client undertake to comply with the professional practices and with the guides, charters or codes of good practice, signed by them or by their professional organisations or the organisations to which they report. These Conditions are supplemented by Artema’s Logistics Agreement for fixing products in the automotive sector and the Quality Agreement for fixing products in the automotive sector, also filed with the Expert Assessments and Professional Practices Office. These general conditions can be governed by sales law when they apply to the supply of standard equipment or equipment whose characteristics are determined in advance by the Supplier, and by the law on contracts for services when they apply either to the manufacture of an item of equipment based on the Client’s terms of reference or to a service provision. In accordance with Article L441-6 of the French Commercial Code, the Supplier’s general conditions constitute “the sole basis of the commercial negotiation”. The Supplier cannot waive them in advance. The publication of the general conditions on the Supplier’s website meets the legal obligation to notify the general conditions. These general conditions apply to the contractual relations between “the Supplier” and the client company referred to hereafter as “the Client”, with any exception to any of these general conditions having to be expressly accepted in writing by the Supplier. Such an exception is only valid for the contract or the order for which it has been accepted. The fact that the Supplier does not take advantage, at a particular time, of any of the clauses of the general conditions cannot be construed as amounting to a waiver of the right to do so subsequently. The nullity of any of the clauses of these general conditions will not affect the validity of the other clauses. The words “in writing” or “written”, within the meaning of these general conditions, are deemed to mean any paper document, and any electronic or faxed document. The prices, information and characteristics that appear in the catalogues, circulars, leaflets, technical data sheets or other documents are provided for information purposes and cannot, under any circumstances, be deemed to be binding offers. The Supplier reserves the right to amend its offer as long as it has not been accepted, and, more-over, the right to carry out any amendments or improvements that it deems necessary on any standard item of equipment, at any time and without notice, without the Client being able to claim any loss whatsoever. The order must be issued in writing. The contract is only complete if the order has been expressly accepted by the Supplier. The order can be accepted by any written means. Orders handed over to the Supplier’s agents or representatives or taken by them only bind the Supplier if they are accepted by the Supplier in writing. The order irrevocably expresses the consent of the Client. The Client cannot therefore cancel it without the Supplier’s prior express agreement. In such a case, the Client shall compensate the Supplier for all direct or indirect consequences arising therefrom, in particular the expenses incurred in respect of specific equipment, study expenses, labour costs, work in progress, stocks and procurement. In any event, the down payments already made will be retained by the Supplier. Amendments and additions to the order, particularly concerning delivery times, quantities or the equipment, are subject to the Supplier’s express agreement, which shall inform the Client of the conditions and consequences thereof on the commercial conditions. Any order amendment requested by the Client is subject to the Supplier’s express written acceptance, which will take account of the consequences in terms of costs and delivery times. A blanket order is defined as an order in which the Client does not make a firm commitment regarding the quantity of equipment or the schedule of services or deliveries, and which must be followed by call-offs. It is limited in time by the agreed period. The price and the other conditions are defined on the basis of projected quantities notified by the Client. If the projected quantities are not met, in the predefined schedule put for-ward, the Supplier may amend such conditions and seek compensation from the Client for the supplies and other costs. If the corrections made by the Client to the projected schedule estimates for the overall blanket order or the delivery orders are more than 20% more or less than the amount of said estimates, the Supplier shall assess the con-sequences of such variations. If there is an upwards or downwards variation, the parties must consult each other to find a solution to the consequences of this difference, which may change the balance of the contract to the detriment of the Supplier. If there is an upwards variation, the Supplier shall do all that it can to meet the Client’s demand in terms of quantities and time frames that are compatible with its (production, transportation, subcontracting, human, financial, etc.) capacities. The Supplier shall establish stocks (materials, tools, work in progress, finished products) in accordance with the Client’s estimated needs and in its interest, either at the Client’s express request, or defined in such a way as to honour the projected programmes notified by it. Any amendment to, failure to perform or suspension of the contract that does not allow the stocks to be used up in accordance with the conditions stipulated in the contract will entail a renegotiation of the initial economic conditions allowing the Supplier to be compensated. The projects, studies, sketches, plans, quotes, photographs, illustrations, printed matter and documents of any sort handed over or sent by the Supplier shall always be fully owned by it. The Client ac-knowledges the Supplier’s industrial and intellectual property in all of the Supplier’s documents and equipment. They must be returned on request. They cannot be disclosed or produced without the Supplier’s prior written authorisation. Any reproduction or representation, even partial, by any process whatsoever, of one or more of these elements, carried out without the Supplier’s written authorisation, will constitute misconduct and may also constitute counterfeiting or unfair competition. Any transfer or any assignment of intellectual property rights must be subject to a separate contract between the Supplier and the Client. If studies carried out at the Client’s request, or based on documents provided to the Client, are not followed by an order for equipment, the expenses incurred will be invoiced to the Client and the documents must be returned. The Supplier’s trademarks and its name are legally protected. Any use of these elements on any medium whatso-ever, not previously accepted in writing by the Supplier, may be actionable by the Supplier. The Client guarantees that the content of the plans and the terms of reference and their conditions of implementation do not use the intellectual property rights or know-how owned by a third party. It guarantees that such content and conditions can be used freely without contravening a contractual or legal obligation. It guarantees the Supplier against the direct or indirect consequences of any civil or criminal liability action arising in particular from an action for counterfeiting or unfair competition. The parties are mutually committed to a general obligation of confidentiality relating to the in-formation (documents on any medium whatsoever: discussion reports, plans, exchanges of computerised data, etc.) exchanged as part of the preparation and the performance of the contract. Generally, the Client acknowledges that all confidential information whatsoever concerning the Supplier is dis-closed to it only in respect of the contract and solely for the purpose of allowing it to make its decision. However, information in the public domain when the contract is entered into or already legally known by the Client is not subject to an obligation of confidentiality. These provisions do not preclude the Supplier’s right to use its own know-how and technology developed in connection with the contract, unless there is a specific agreement entered into between the parties. They do not preclude the Supplier’s right to file patents on inventions. In the event of a confidentiality agreement, that is necessarily mutual, being signed, it may not validly be drawn up in the sole interest of either of the parties. No confidentiality agreement will result in the automatic transfer or appropriation of results produced by development work or of intellectual property rights to the benefit of either of the parties. A Client that is an assembler shall always undertake studies concerning set-up, compatibility and assembly. The operating characteristics of a set are the Client’s responsibility. The Supplier undertakes to provide it with the information in its possession that is necessary for the study. The Client shall be responsible for compliance with the rules in force particularly concerning noise, health and safety, even if a special item of equipment is provided at the assembler’s request (whether accompanied by documents or not). In all cases, the Supplier shall only be answerable for the compliance of the item of equipment with the specifications agreed in the order acceptance or in an express acceptance letter. However, the Supplier may, upon specific request, agree to conduct certain studies concerning set-up, compatibility or assembly, which will be invoiced to the Client and for which the Supplier may only be liable in the event of gross negligence on its part in not complying with standard professional practice. Also, the Client will be invoiced for any study, accepted and undertaken at its request, for the production of a special item of equipment. All plans, data sheets, technical documents or quotes provided to the other party are done so as a loan for the purpose of assessing and discussing the Supplier’s commercial offer. They shall not be used by the other party for other purposes. The Supplier retains all of the material and intellectual property rights on the documents loaned. These documents must be returned to the Supplier on request. The samples or prototypes provided to the Client are strictly confidential. They can only be disclosed to a third party with the Supplier’s express authorisation. The provision of plans or technical documents by the Supplier does not entail the transfer to the Client of their ownership or the assignment to the Client of the rights attached to them. They are supplied as a loan and must be returned on request or at the end of the contract. Any of the Client’s clauses stipulating the automatic assignment to the Client of the rights solely because of a business relationship or a supply will be deemed unwritten. The delivered products shall comply with the technical regulations that apply to them and the technical standards for which the Supplier has expressly declared the product’s compliance. The Client is responsible for using the product in accordance with the normal foreseeable conditions of use, the safety and environmental legislations in force in the place where the product is used and standard professional practice. In particular, it is the Client’s responsibility to choose a product that corresponds to its technical need and its implementation process, if necessary, and to obtain assurance from the Supplier that the product is appropriate for the application envisaged. Unless there is a specific provision mentioned on the product, the delivered product is not designed to come into contact with foodstuffs or to be placed in an explosive environment. The expenses incurred by the Supplier for the design and creation of tools and their pro-duction development may be subject to a financial contribution from the Client. Since the tools have been designed by the Supplier and adapted to its methods and its equipment, they remain its property and stay in its workshops. The Client’s contribution to the costs of the tools only gives it a right to use such tools in the Supplier’s workshops. It does not entail any transfer of any material or intellectual property right or know-how. The Supplier is entitled to destroy or dispose of the tools should more than two years elapse without a sufficiently large new order being received that justifies their use. In such a case, the Supplier shall advise the Client of this by registered letter with acknowledgement of receipt. In the absence of a response from the Client and an agreement between the parties on the conditions for any ex-tension of the time frame, the Supplier shall dispose of the tools three months after the Client receives the registered letter with acknowledgement of receipt equating to notification. The Client undertakes to pass on information that is useful for the use of the product to any sub-purchaser. The Supplier shall ensure the traceability of the product up to the date of delivery to the Client. The proposed supply must contain exactly the equipment specified in the offer (catalogue or quote). The contract is strictly limited to supplies expressly mentioned in the offer. Packaging is always payable by the Client and is not taken back by the Supplier, unless otherwise stipulated. In the absence of any special instruction in this regard, the standard packaging is prepared by the Supplier, which acts in the Client’s best interests. The documents, plans and diagrams of the product given to the Client, and in particular attached to the offers, are provided for information purposes only. The Supplier is entitled to amend the product provided that it meets the needs expressed in the order. The recommendations which may be attached to the plan and all technical documents and offers are only provided by the Supplier in accordance with the information supplied by the Client, and within the limit of the Supplier’s contractual commitments. The Supplier is bound by the content of its pricing offer for a period of thirty days. Orders placed after the offer validity limit will be subject to the Supplier’s rates or price lists in force on the day of the order or, in the case of a specific item of equipment, based on a new offer. are set bearing in mind the estimated or agreed quantities. The controls specific to certain industries, such as, for example, aeronautics or the nuclear industry, are not included in the prices stipulated in the quotes, proposals and invoices, and will be subject to a specific additional price. More generally, with regard to the specific controls on the products, it is made clear that the equipment is produced in accordance with the existing technological knowledge and that the materials used are controlled in accordance with the normal methods in force in the mechanical industries. Should an event occur that is outside of the parties’ control and compromises the balance of the contract to the point of making it prejudicial for one of the parties to fulfil its obligations, the parties agree to negotiate in good faith the appropriate amendment to the contract. This refers in particular to the following events: variation in the price of the raw materials, change in customs duties, change in the rates of exchange, developments in legislations. Any amendment to the contract by the Client may result in the agreed prices being changed. The deadline for payment is 30 days net from the date of issue of the invoice. In accordance with Article L441-6 of the French Commercial Code, the agreed deadline cannot exceed sixty days net or, subject to the parties’ express agreement, forty-five days end of month from the date of issue of the invoice. The application of the law does not affect shorter payment deadlines agreed. Payments shall be made at the Supplier’s registered office, and, unless otherwise agreed, shall be made net and without any discount. The Supplier reserves the right to transfer its debt to a third party. Any late payment and also any failure to return an accepted bill of exchange within fifteen days of it being sent to the Client, in accordance with Article L441-6 of the French Commercial Code, shall render enforceable the application of late payment interest at the European Central Bank’s most recently published refinancing rate plus ten percentage points. It is pointed out that this rate may not be less than three times the statutory interest rate. In addition to the penalties, any late payment shall, from the first day after the settlement date stated on the invoice, automatically entail the payment of a fixed charge of 40 euros for collection costs. At the Supplier’s discretion, it may entail the termination of the contract and the immediate payability of the balance of the price and the invoices on account, regardless of the supplies to which they relate, and the possibility of no longer accepting new orders. Pursuant to the aforementioned Article L 441-6, when the collection costs incurred exceed the amount of said fixed charge, the Supplier is also entitled to claim additional compensation on production of proof. The Client is expressly forbidden from engaging in any practice consisting of automatically debiting or automatically invoicing the Supplier for sums which the Supplier has not expressly acknowledged as being its responsibility to pay. Any sum automatically debited shall constitute an outstanding amount resulting in the application of the above provisions relating to late payments and may be punishable under Article L442-6(I)(8) of the French Commercial Code. Should the Supplier take advantage of either or both of these provisions, this shall not deprive it of the right to apply the stipulated retention of title clause. on the one hand, to record the rescission of all contracts in force and, on the other, to retain all down payments received and equipment in its possession until the compensation payable, if any, has been fixed. If the Supplier take advantage of any of these provisions, this shall not prevent the implementation of the retention of title clause or the possibility that the Supplier may claim lump sum compensation by way of a penalty clause. When the contract entered into is part of a chain of contracts for services within the meaning of law no. 75-1334 of 31 December 1975, the Client is legally obliged to ensure that the Supplier is accepted by its own principal. It is also obliged to ensure that the Supplier’s payment conditions are accepted by its own principal. If the principal is not the end client, the Client undertakes to require that the principal complies with the formalities of the 1975 law. In accordance with Article 3 of the 1975 law, failure to submit the Supplier to the principal or to obtain the principal’s approval of the Supplier will result in the Client being unable to invoke the contract against the Supplier. This inability particularly involves bringing proceedings2 relating to any failure to comply with the terms of reference. However, in accordance with the aforementioned Article, the Client is still responsible to the subcontractor for performing its contractual obligations. Under these general conditions, the 1975 law is deemed to be an international policing law applicable via the Client to foreign end clients. The Supplier retains ownership of the equipment provided until full payment of the principal sum and any incidental charges. If the Client fails to pay any instalment on time, the Supplier may reclaim the products delivered, even those assembled, and may claim against the sub-purchasers in accordance with the legal conditions. Nonetheless, from the time of delivery, the Client assumes the risks of loss of or damage to the products and liability for the damage that they might cause. Unless otherwise expressly agreed, should the Client be asked to contribute to the costs of producing the tools, ownership of those tools shall not transfer to the Client as a result of this. date on which the preliminary contractual or legal obligations are performed by the Client. The agreed delivery time is an important element which must be specified in the contract together with its nature (availability time frame, submission time frame for acceptance, delivery time, legal acceptance time frame, etc.). The time frames stipulated are, however, for information purposes only and can be reappraised in the event of circumstances arising which are beyond the Supplier’s control. Delays cannot justify the cancellation of the order. If delivery is later than the times agreed between the parties: if special agreements stipulate penalties, they cannot, under any circumstances, exceed 0.5% per full week’s delay, subject to a maximum of 5% of the ex-works value of the products delivered late. A late delivery penalty may only be applied if the Client has shown that the delay was attributable exclusively to the Supplier and that it caused a genuine loss. It may not be applied if the Client has not advised the Supplier in writing, at the time that the order is placed, of, and confirmed, at the scheduled time of delivery, its intention to apply said penalty. These penalties constitute liquidated damages in full discharge and exclude any other form of compensation. Payment of supplies may not be postponed or amended as a result of the penalties. The Supplier shall be automatically released from any commitment relating to delivery times if the Client fails to comply with the payment conditions or a force majeure event, as defined below, occurs. or, where the contract so provides, by delivery to the Client’s plants or warehouses. Should the Client have used a carrier and assumes the cost thereof, the Client will be responsible for all financial consequences of a direct legal action by the carrier against the Supplier. In the absence of an agreement to the contrary, all operations relating to transportation, insurance, customs and handling are the responsibility and at the expense and risk of the Client which is also responsible for checking de-liveries on arrival and, if applicable, exercising its rights of recourse against the carriers, even if the shipment was made carriage paid. In the event of a shipment by the Supplier, the shipment is effected on a freight collect basis, at the lowest rates, unless the Client expressly requests otherwise, in which case the additional transportation expenses are passed on to the Client. The Client must pay for and be responsible for checking that the products comply with the terms of the order or for having such a check carried out. The Client is obliged to perform the legal acceptance of the products whereby it acknowledges compliance with the contract. Acceptance equates to acknowledgement of the lack of apparent defects. The Client must comply with any instructions relating to storage and handling including, but not limited to, inter alia, the reconditioning of pallets, or the change in packaging of the products. Non-returnable packages are not taken back by the Supplier. The packages comply with the applicable environ-mental regulations in accordance with the intended use of the products. The Client undertakes to dispose of the packaging in accordance with the local environmental legislation. 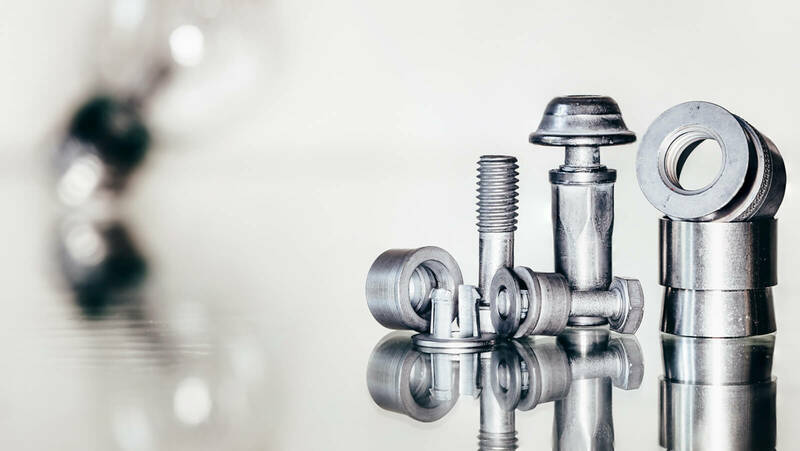 The Supplier of fixings is not necessarily an expert in the environment in which the product is going to operate, nor in its constraints (particularly storage, assembly, insertion in a sub-set or set, interaction of the elements, constraints during operation). By definition, it cannot therefore commit directly to a contractual warranty in terms of period of use. However, in respect of the automotive sector, where applicable, Artema’s document of February 2016, previously Affix’s document of January 2012 – Professional practices of manufacturers and suppliers of fixings in accordance with “3-year and/or 100,000 km” type warranties, as filed with the Expert Assessments and Professional Practices Office, will apply. The Supplier’s liability is strictly limited to compliance with the Client’s specifications accepted by the Supplier. In fact, the Client, acting as the “principal”, is, due to its professional expertise in its specialist field and based on its industrial production resources, able to precisely define the product on the basis of its environment and its own industrial data or that of its clients. The Supplier must produce the product requested by the Client in accordance with the standard practice in its profession. the Client must notify the Supplier, in writing and within a maximum period of 48 hours from their occurrence, of the defects that it attributes to the equipment, provide all evidence regarding the reality of such defects and give it every opportunity to verify the existence of these defects in order to rectify them. The Supplier is exclusively liable for providing replacements for the parts acknowledged to be defective by the Supplier, or, at its choice, for repairing them in its workshops. It reserves the right to amend the equipment if necessary, in order to meet its obligations. The Client must give the Supplier every opportunity to verify the existence of these defects and to rectify them. in the event of negligence, lack of supervision, lack of maintenance or incorrect assembly. The Supplier’s liability shall be limited to the direct material damage caused to the Client which arises from misconduct attributable to the Supplier in performing the contract. The Supplier is not obliged to compensate the harmful consequences of misconduct committed by the Client or third parties in relation to the performance of the contract. The Supplier is not liable for damage caused by the Client’s use of technical documents, information or data emanating from the Client or imposed by it. The Supplier shall not, under any circumstances, be obliged to provide compensation for consequential or indirect damage such as: business interruption, loss of profit, loss of opportunity, commercial loss, loss of earnings, etc. Should the stipulated penalties and compensation have been jointly agreed, they shall be construed as fixed compensation, in full discharge and are exclusive of any other sanction or compensation. The Supplier’s third party liability, all causes combined with the exception of bodily damage and gross negligence, shall be limited to a sum that shall not exceed the selling price of the batch to which the part acknowledged as being defective belongs. The Supplier may only be held liable if the Client has previously established the existence of the damage, the existence of misconduct solely on the Supplier’s part and a direct, immediate and exclusive link between such misconduct and the damage. These elements must be proven by any documented evidence in accordance with legal requirements. The Client waives all rights of recourse against the Supplier or its insurers be-yond the limits and exclusions determined in these general conditions and warrants that its insurers and third par-ties in a contractual relationship with it also waive all such rights. Each party shall notify the other party, as quickly as possible and by registered letter with acknowledgement of receipt, of the occurrence of a force majeure event of which it is aware and which, in its opinion, is likely to affect the performance of the contract. If the period for which the performance of the contract is prevented exceeds 10 working days, the parties must consult each other within 5 working days of the expiry of the period of 10 working days to consider, in good faith, if the contract is to be continued or terminated. The Client shall be responsible for all rules governing the exporting of parts included in its products and may not cite a force majeure event or another ground for exemption if the importing of this equipment or their components is banned. The Client is obliged to advise the Supplier beforehand of the existence of such regulations when they will be applicable to its supplies or services and when they comprise obligations for the Supplier. The Supplier will not be liable for delays and other consequences due to the application of these regulations. The contractual time frames are extended by the time needed to obtain permits. In any event, the invoice must be paid in accordance with the terms defined by these business conditions or the special conditions. The parties undertake to try to resolve their disputes amicably before referring the matter to the competent court. In the absence of an amicable agreement, the courts in the judicial district where the Supplier’s registered office is located will have sole jurisdiction to hear any dispute relating to the formation, the interpretation or the performance of the contract, even in the event of the introduction of third parties or the existence of multiple defendants, and regardless of the agreed places of payment or delivery. Only French law shall govern the entering into and the performance of the contract. When the contract includes an international element, the Vienna Convention of 11 April 1980 on the International Sale of Goods, and subsidiarily French law, will apply. Any of the Client’s documents written in a language other than French will not be deemed binding unless the Sup-plier expressly agrees to accept it as binding. In the event of differences in interpretation between a text in French and a text in a foreign language, the French text will take precedence.